Andrea Di Falco, Martin Plöschner and Thomas Krauss of the School of Physics and Astronomy of the Scottish University of St Andrews, in an article published by the New Journal of Physics , have recently reported on the fabrication of a key building block for flexible metamaterials for visible light, Metaflex. Figure 1: Artist's impression of the Metaflex concept. The green sphere is made invisible and not reflected by the mirror. Metamaterials have engineered properties that are not available with naturally occuring materials. For example, they can exhibit negative refraction, which means that light refracts in the opposite direction to the one we are used to. 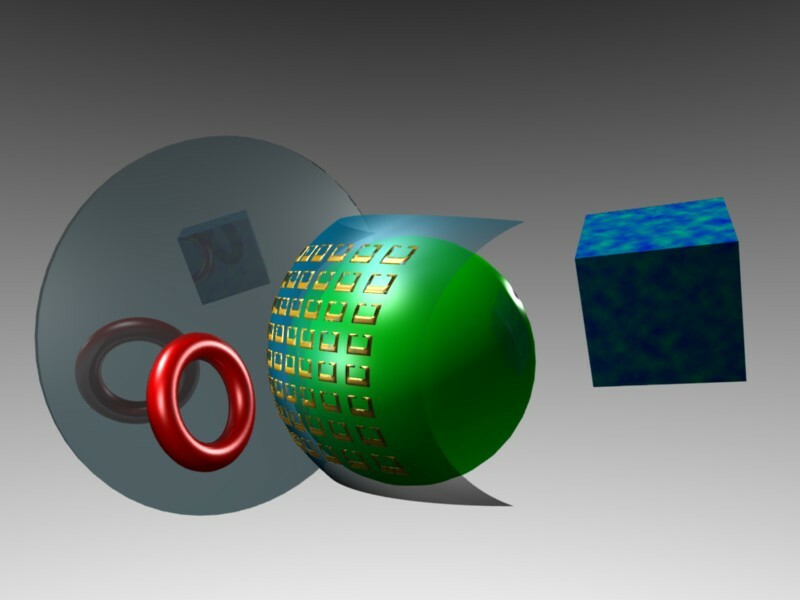 They can also be used to build superlenses, which are lenses that can form images with “unlimited” resolution, well beyond the diffraction limit and invisibility cloaks that can guide light around an object as if it did not exist. For these effects to take place, the smallest building blocks of metamaterials, called “meta-atoms”, have to be much smaller than the wavelength of the incident light. Therefore, at visible wavelengths, which are typically 400-600 nanometres, the meta-atoms have to be in the range of few tens of nanometers. For this reason, researchers have to employ the sophisticated techniques developed in the semiconductor industry, i.e. the same techniques that are used to densely pack the semiconductor circuits that are required in modern computer processors. As a result, most metamaterials are realised on flat and rigid substrates, which limits the range of applications that can be accessed. The work carried out at St Andrews overcomes this limitation by demonstrating metamaterials on flexible substrates. This achievement can almost be understood as a transition from the hard and rigid “stone-age” of nanophotonics to a modern age marked by flexibility [2,3]. While some examples of stretchable and deformable metamaterials have previously appeared [4-6], the St Andrews researchers were the first to demonstrate such flexible metamaterials at visible wavelengths. Metaflex consists of very thin, and self-supporting polymer membranes. The metamaterial property arises from an array of gold nanostructures that are resonant in the visible range. In particular, Di Falco et al. have “written” a nanometer sized gold fishnet pattern (in an area of few mm2), which interacts with light at a wavelength of 630 nm, i.e. the wavelength of red light. Because metaflex is so thin, multiple layers can be stacked together as well as wrapped around an object. Such multilayer metaflex will be demonstrated as the next step, which will allow the demonstration of more complex behaviors such as negative refraction in flexible substrates at optical wavelengths. Metaflex is also a useful tool for exploring the paradigm of Transformation Optics, which is the concept behind the ideas of invisibility cloaks that are so inspiring . Transformation Optics requires materials with “designer” refractive properties that go far beyond those available with natural materials, so are ideally suited to the application of metamaterials; flexibility then adds a key ingredient. Metaflex, being supple and modifiable, is the natural choice for applications where, for example, a curved geometry is required. 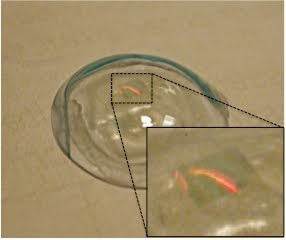 Figure 2 : A layer of Metaflex placed on a disposable contact lens to show its potential use in visual prostheses. In addition to enabling such exciting ideas as invisibility cloaks, metaflex offers more immediately feasible and practical applications such as enhanced visual prostheses, whereby the designer refractive properties can be used to improve the performance of everyday objects such as contact lenses. 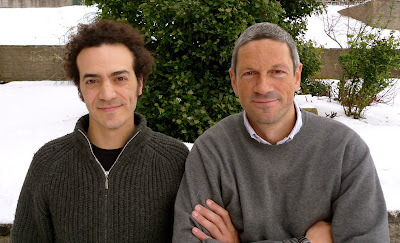 Andrea Di Falco, Martin Ploschner and Thomas F Krauss, "Flexible metamaterials at visible wavelengths", New Journal of Physics, vol.12, 113006 (2010). Abstract. John A. Rogers, Takao Someya and Yonggang Huang, "Materials and Mechanics for Stretchable Electronics", Science, vol.327, 1603 (2010). Abstract. I. Park, S. H. Ko, H. Pan, C. P. Grigoropoulos, A. P. Pisano, J. M. J. Fréchet, E.-S. Lee, J.-H. Jeong, "Nanoscale patterning and electronics on flexible substrate by direct nanoimprinting of metallic nanoparticles", Advanced Materials, vol. 20, 489 (2008). Abstract. Hu Tao, A. C. Strikwerda, K. Fan, W. J. Padilla, X. Zhang and R. D. Averitt, "Reconfigurable Terahertz Metamaterials", Phys. Rev. Lett., vol. 103, 147401 (2009). Abstract. H.O. Moser, L.K. Jian, H.S. Chen, M. Bahou, S.M.P. Kalaiselvi, S. Virasawmy, S.M. Maniam, X.X. Cheng, S.P. Heussler, Shahrain bin Mahmood, and B.-I. Wu, "All-metal self-supported THz metamaterial - the meta-foil", Opt Express (2009) vol. 17, 23914 (2009). Abstract. Imogen M. Pryce, Koray Aydin, Yousif A. Kelaita, Ryan M. Briggs, and Harry A. Atwater, "Highly Strained Compliant Optical Metamaterials with Large Frequency Tunability", Nano Lett., vol. 10, 4222 (2010). Abstract.